Appearance, Communication, and Visuals! Oh my! In order to build a Purpose Filled Business, we need to ensure that every time a customer, referring partner, or the general public comes in contact with us and our brand, that we are delivering on our promise to them. Your brand is a promise. A promise for what type of experience they will get from interacting with you. This idea is important to you even if you work in someone else’s company. Everyone has a personal brand whether you are controlling it or not. 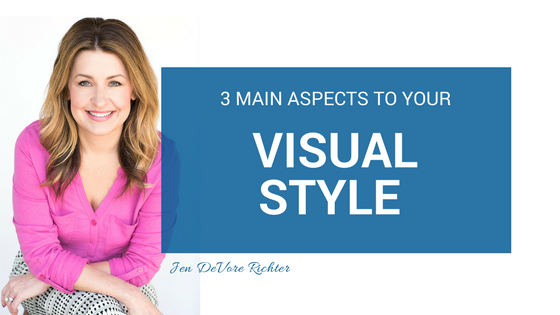 There are 3 main aspects to your visual style as it relates to personal branding. You are a walking representation of your brand. Your visual appearance helps you stand out. But, you want to stand out for the right reasons. Like it or not, you are being judged on your appearance in the work setting, usually in under 7 seconds. Communication includes your brand’s tone, charisma or voice. Pay attention to how you carry yourself in day to day interactions including how you enter a room, how you make people feel when they are with you, and what people say about you when you leave. 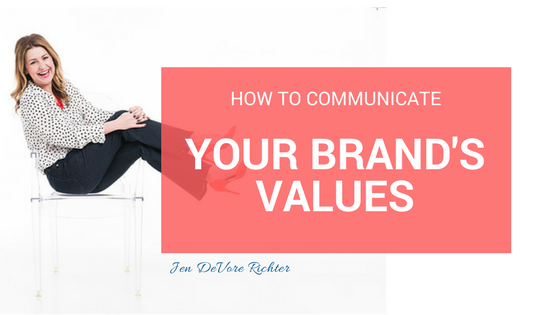 Ensure that how you communicate is in alignment with your brand values. Every visual element detail of your brand from the colors, fonts & photographic style matters. Do these convey your values? Take a look at your social channels, website, printed materials and check for alignment and consistency. And that was the beginning of my visual style. I have carried that conversation over into my brand in a few ways. First, in my photo shoot outfits, I always have on a pop of color with a modern, sleek outfit. So, it may be a bright red pant with a classic black blazer. Or a chunky bold, red necklace with a black and white shirt, or even a bright pink shirt on a grey background. Also, when I speak, I incorporate this bright red color into my wardrobe. I have no fewer than 4 blazers in various shades of red. Now, when you go to my website and social channels, you’ll see this visual style come to life. Modern design with a pop of color. My brand designer, designed my logo with this in mind. My first name is in a red-orange square and my last names are in a modern, sleek font. What I want this to convey about my brand is that I am a powerful communicator and take a straightforward approach to my messaging. But, the color is still fun and vibrant. For today’s action exercise, we are going to begin to define your visual style. Take the Values that you have previously identified and match them to the color descriptions I mentioned in this episode. Then, create a Pinterest board and start pinning images that inspire you and look and feel like YOU and your brand. Don’t worry about what’s in the images. Go for feeling, color, style, and what the pictures say. You will be inspired and start to see your visual style come to life. Because once you have, you are able to identify a unique visual style that is authentic to your brand values, you have set a foundation for success in your marketing. They key here is consistency. A brand can evolve over time, but it needs to be consistent from platform to platform. The main takeaway here is that every visual element of your brand matters, including the colors you utilize. Make sure to use a color that is YOU. Own that color! And don’t forget that consistency is key. In order to build a Purpose Filled Business, we need to ensure that every person that we do business with, partner with, work with, and align with have our core values. Now, this doesn’t mean that they have to have every personality trait in common with us, think exactly the same way as we do, or believe what we believe, but they do need to have similar values as to HOW they approach business and what they hold important. When we neglect to communicate our values for fear of turning people off or pushing people away, this actually hurts our business. You can’t be everything to everybody. It’s not possible. 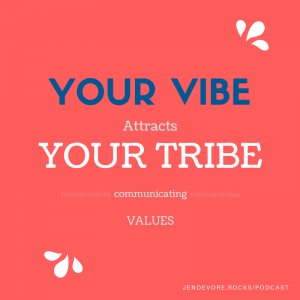 You need to build your tribe of key supporters and find patients, customers, or clients that get you and want to build a community with you. 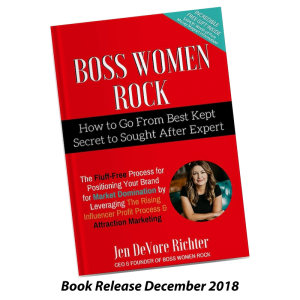 When my partners and I first started Boss Women Rock, we lost sight of the importance of communicating our values. We were struggling to build a business from scratch and taking on every project we possibly could in order to get revenue coming in fast. Fast forward 2 years and we had successfully built our company and revenues were climbing, but we were left feeling unfulfilled, frustrated and burnt out. We had over 45 clients being managed by just the 3 of us. To say we had lost focus is an understatement. So, we took a step back and did for ourselves what we do for our clients. 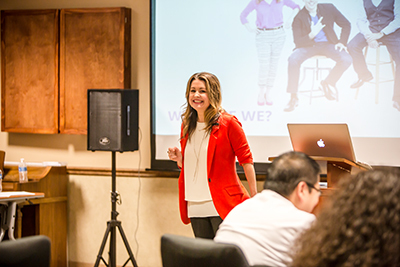 We asked ourselves some tough questions and realized that we had built a business on a shaky foundation because we had neglected to stay true to our bigger purpose, values, and bold vision. And while we appreciated the clients we had, many times we were not seeing eye to eye. 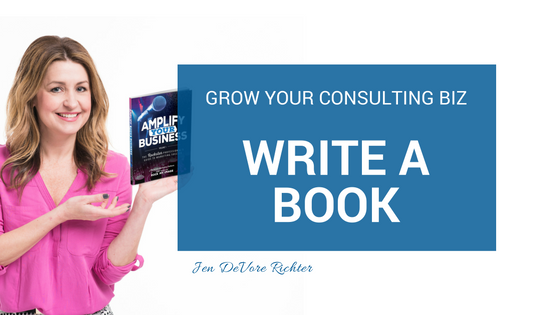 We felt frustrated when we were trying to communicate big ideas and new ways of thinking to a business owner that was stuck in the status quo. They lacked a winning attitude. We felt unappreciated when a mismatched client didn’t give us the fuel we needed to make their marketing machine run and they skipped payments, didn’t follow our proven process. They lacked the expertise to implement solid business ideas on their end. 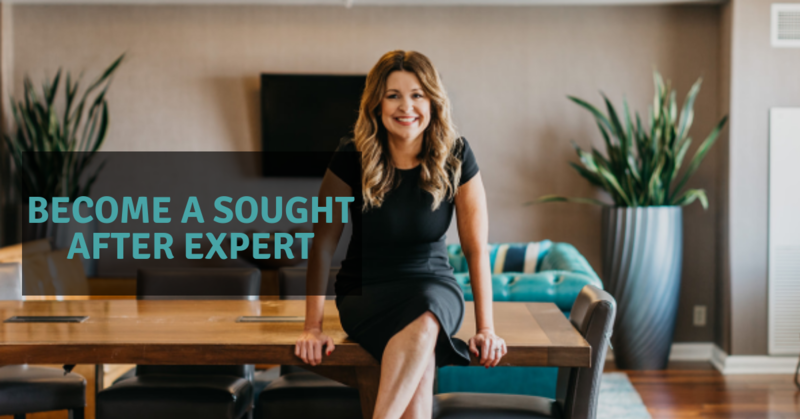 We felt stuck when our plans for a client weren’t received well because the client didn’t have the drive to do the work necessary to reach new levels of success. So, we fired ourselves from working IN the business, and we had to let some of those clients go. We identified our core Values and began to communicate them. So, now we know that we want to work with entrepreneurs that have the ATTITUDE + EXPERTISE + DRIVE TO THRIVE. For today’s action exercise, we are going to create your Brand’s Values Formula. After defining your values, take your top 3 and begin to brainstorm what the result is for your business if you stay true to those values. Using my example, ATTITUDE + EXPERTISE + DRIVE the result is TO THRIVE. 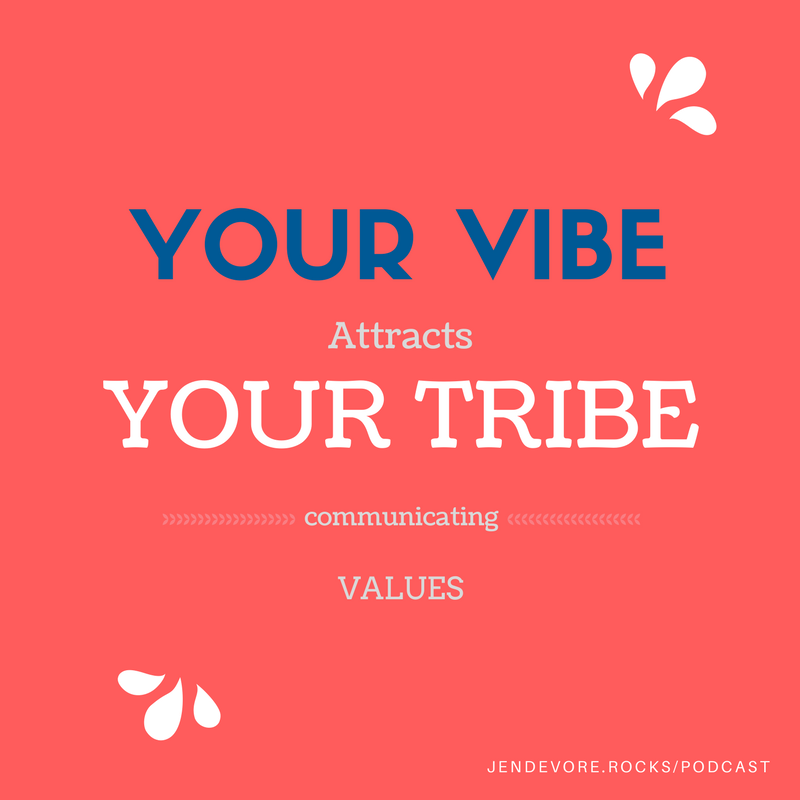 Because once you have you are able to communicate your Values, you will begin to build a community around you of people that want to work with you, help you succeed, and further your mission. The main takeaway here is know your values and know where they are going to take you and your business. If you establish your top 3 values, then you’ll bring in clients whose values match yours. Leaving you with a successful business and a new sense of appreciation. In order to build a Purpose Filled Business, we need to know that our words matter and they are changing people. Our words should lift others up and impact them in such a way that a community is built around our business. 1. Craft Your Story – YOU are your branded story. Our love of story is hard wired into our brains. When we hear a story all of the regions of our brain activate as if we’re experiencing the event ourselves. Sharing your story is an important aspect for engaging customers and capturing market share. You will want to craft your story in such a way that your audience can understand your journey including the trials and triumphs. Be mindful of how you want to be known in the world. 2. Identify Your Claim to Fame – other marketers call this your Unique Selling Proposition. Your Claim to Fame is something that ONLY you can do or have done. 3. 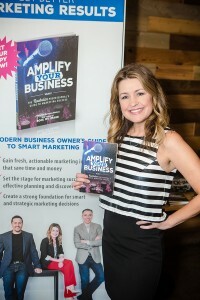 Connect with Your Audience – this is accomplished by publishing content and igniting your audience’s passion for your products and services. Joyce Meyer is a great example to demonstrate how important messaging is to building your purpose filled business. 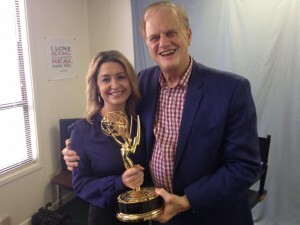 If you are a fan of hers, you will know that Joyce is a well respected leader in women’s Christian ministry. She is respected because she knows how to make faith relate to everyday life. She is an expert on topics of faith and life and demonstrates her expertise by living a life that is to be admired. Joyce has built her audience of loyal fans first because she recognizes that she is not a co-star with Jesus, but a servant. That is to be admired. But, from a brand building perspective she is an expert orator and speaker because she is always using stories to demonstrate concepts in a way that others can relate. She has shared stories of her abusive childhood. She’s shared stories of her 50 year marriage. She’s shared stories of her life that show that she is a human being, relatable and lovable. 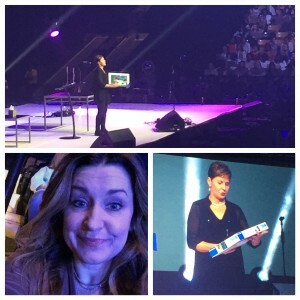 I saw her speak in person at the Propel Women’s Conference in Orlando recently. The arena was filled with 4,000 women. Lights were lit like a rock concert, the stage was set like a theatrical production, the music was pumping. And when they introduced Joyce, she came on stage dressed in a simple black outfit. She stepped up to the microphone, and she told stories. By the end of her 45 minute talk, all 4,000 women were on their feet in applause. She had won us over with her vulnerability, her authenticness, and her stories. Learning how to craft your brand’s messaging begins with your story. This is the most important aspect. To craft your brand’s messaging, you need simply to start to compile and share your stories, identify your Claim to Fame, and connect with your audience. 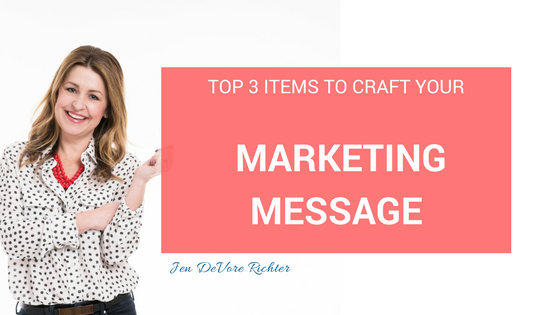 Because your message is so important to building a purpose filled business. Your experiences, stories, expertise, and advice have the potential to impact people. They have the potential to change the world, one word at a time. The main takeaway here is that everyone loves a good story that they can relate to. Be real, be honest, be YOU. You have experiences that no one else has had, so use those times as your Claim to Fame and let your story be heard. I don’t have an artistic bone in my body. Being “artsy” just isn’t my thing. If any of those statements above resonate with YOU then this post is important for you to read. It is especially important if you are a business owner, a leading professional or in any way responsible for achieving some level of success at work or in your life. For some of us, being creative comes naturally. It is part of our DNA. I happen to be one of those people. I was the kid selling arts and crafts at the end of her parent’s driveway in 5th grade instead of lemonade. I had a drafting table in my bedroom when I was in high school. Doing creative things is part of who I am and how I express myself. For others, being creative may not come naturally. It is a skill that needs to be practiced and nurtured. This is not just so that you can fill your house withe the most popular Pinterest projects. Creativity is an important aspect of achieving success whether that is at work, in church or in your local hobby group. Creative thinking allows you to remove barriers, see in fresh perspectives, and solve problems is unique ways. Creativity can actually help you achieve success in whatever form that means for you. 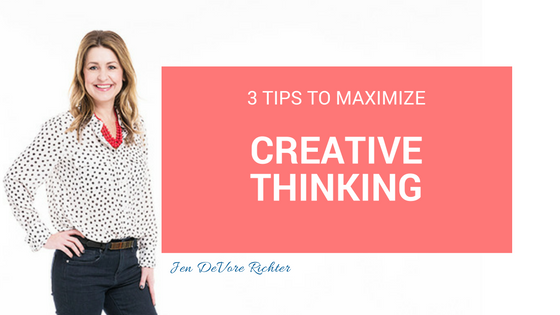 3 Tips to Maximize Creative Thinking While Planning for Success. Creativity Tip 1: Start with the end in mind and set a big goal. Creative thinking comes from having a big goal. Whether that big goal is opening a second business location, publishing your first book, or just finally learning how to cook corn risotto, creativity is maximized if you pushing yourself to accomplish something that slightly scares and inspires you at the same time. Put yourself out on a limb to push beyond your comfort zone. Creativity Tip 2: Take time to get out of your normal environment and away from the daily grind. Working ON yourself and ON your future is more important than staying busy in your daily grind. Don’t get caught in the trap of a full email inbox, a loud house full of teenagers or a hectic work environment. Make time away from your normal environment to meditate, journal, pray or just reflect to reignite your creative thinking. Recently I read “a full email inbox as just a long list of other people’s problems.” Don’t let a long list of other people’s problems keep you from creating and achieving great things! Creativity Tip 3: Get the opinions of those that are different from you. Basically, what this means is get a fresh perspective. By opening up your heart, eyes and ears to others, you can grow creatively. Finding new ways of thinking, new ways of seeing and gaining new ideas and insights is important for growth. Immerse yourself in diverse learning opportunities and be open to seeing the world differently. In summary, creative thinking isn’t just for artists. Creative thinking can help you achieve new levels of success. It’s just up to you take action and reignite your passion for life!